Eric is a Registered Representative of Lion Street Financial. He is native to Waco and graduated from Texas Tech in 2008 with a BBA in Finance and a minor in Financial Planning. Since joining Stiba Wealth Management Group, Eric’s main focus has been Holistic Financial Planning. His knowledge of products and understanding of client needs help him to fill gaps in any portfolio. 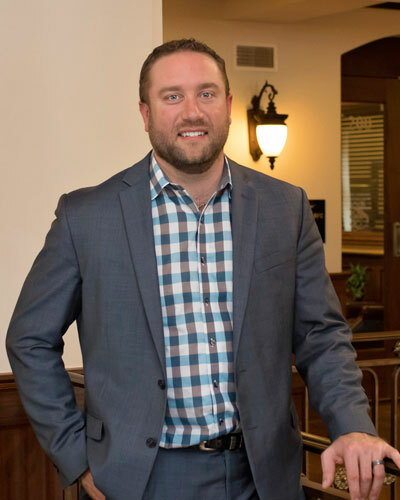 Eric has a passion for Financial Planning and is working to grow not only his book of business but also increasing his knowledge of possible strategies for clients’ financial comfort. Eric is series 7 (General Securities Representative), 65 (Uniform Investment Adviser Law), and 63 (Uniform Securities Agent State Law) licensed as well as holding a Group 1 Insurance license. In his free time, Eric enjoys spending time with his wife Jackie, bass fishing, hunting, and taking care of his 2 children Luke and Kade.